Twenty-nine years ago yesterday, President George Bush signed S. 978, National Museum of the American Indian Act. With his signature, this act became Public Law 101-185 and the Museum of the American Indian became part of the Smithsonian family. Founded in 1916 and first opened to the public in New York on November 14, 1922, this museum had a long life before becoming part of the Smithsonian. 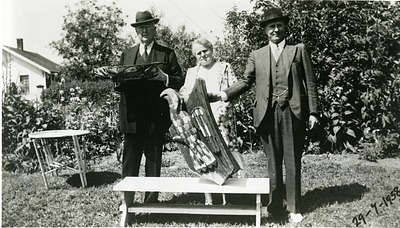 George Gustav Heye was a collector of Native American ‘artifacts’ and created the museum out of his personal collection. But when Heye died in 1957, the future of the museum was in question. Several options were explored, but none were settled upon, when the Smithsonian entered the picture. 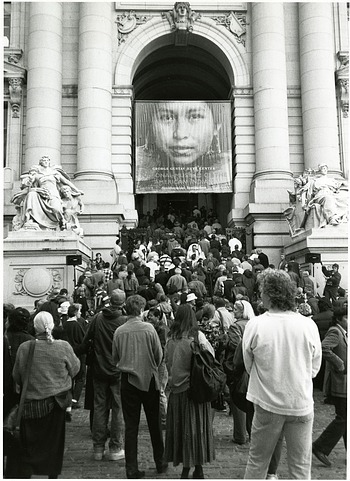 In 1988, the Museum of the American Indian, the Smithsonian, and Congress negotiated the details of collections stewardship, buildings, location, and budget. In addition, difficult questions of human remains, ownership, and repatriation were addressed. 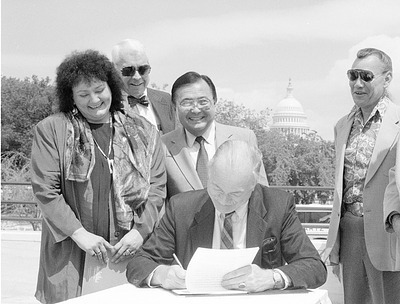 On September 12, 1989, Secretary Adams, Senator Inouye, and Senator Ben Nighthorse Campbell held a press conference announcing a revised policy on repatriation of American Indian human remains in the National Museum of Natural History collections. After these negotiations, a new bill, S. 978, was introduced in the Senate in May 1989 and passed in October. The next month, the House passed S. 978 with a few amendments, which were approved by the Senate just one day later. By November 14th, all that stood between this legislation and the creation of a new museum was a signature from President George Bush. His signature came just two weeks later on November 28, 1989, and, with a final stroke of the pen, the National Museum of the American Indian was created. When the legislation establishing the new museum was passed, it incorporated the new repatriation policy and appropriate funds for an inventory of human remains in the Smithsonian’s collections. Joining the Smithsonian ensured that the Heye collection would have the stewardship it deserves and that our nation’s American Indian heritage would be represented on the National Mall. 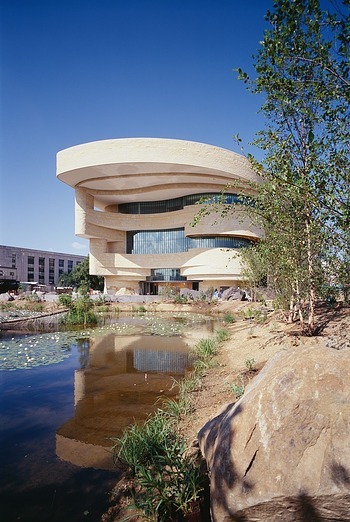 Today, the museum brings native voices to its three locations—on the National Mall, in New York, and at the Cultural Resources Center in Maryland—and acts as an honest and thoughtful conduit to Native cultures—present and past—in all their richness, depth, and diversity.